Sage software, Microsoft Dynamics NAV software, Navision, Pegasus software, Access software, Birmingham. 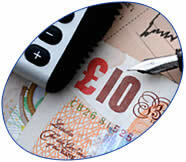 FCL Computing & Software Solutions provides a range of accounting solutions to organisations. Whether a basic or complex accounting solution, wholesale and distribution, stock and bar coding, construction, or manufacturing based, EPOS, or a system developed from the ground up – we provide pre-sales advice on the best fit product to meet your requirements. As consultants it is our mission to provide you with a product that will meet your requirements today and allow for expansion in the future. Our pre-sales analysis and demonstrations of products are provided free. The analysis work we carry out on behalf of our clients ensures that they can rest assured of the right solution for their organisation. This means that the client has peace of mind as the project rolls out over the agreed implementation plan.